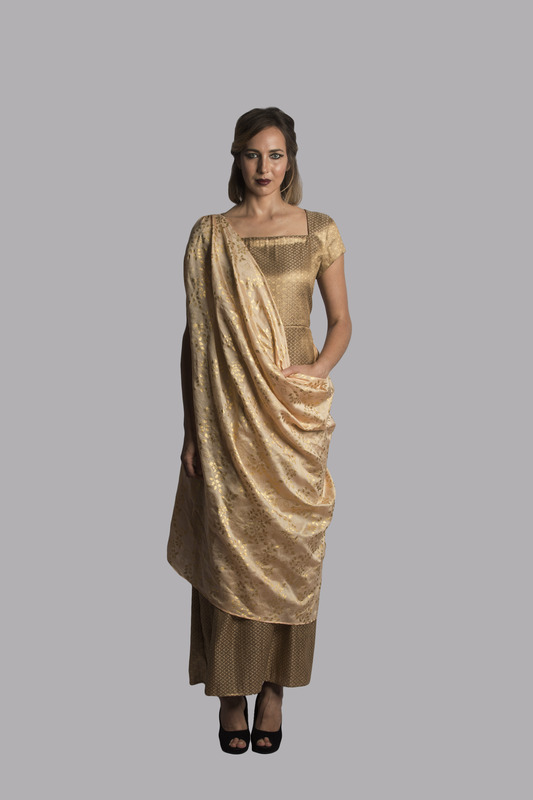 A light weight draped linen saree with foil work in antique gold. 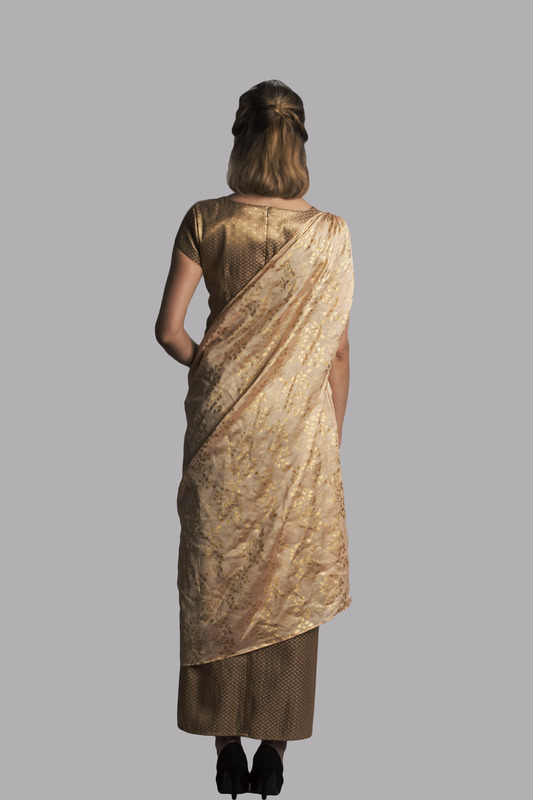 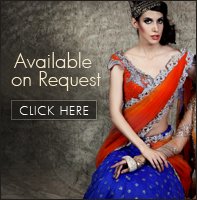 The saree has a pocket. 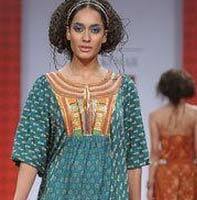 Can be paired with brocade long dress or crop top and fitted pants.